Welcome to Kavio’s Official Blog. - Basics to Fashion Clothing & Apparel. : Sugar Coated High Low Tees for Infants! Sugar Coated High Low Tees for Infants! happens in one day, the truth is - it's absolutely not and never too many! Especially when it comes to how creative and super cute those baby clothes and outfits are, shopping for your baby or someone else's baby can be super-exciting! 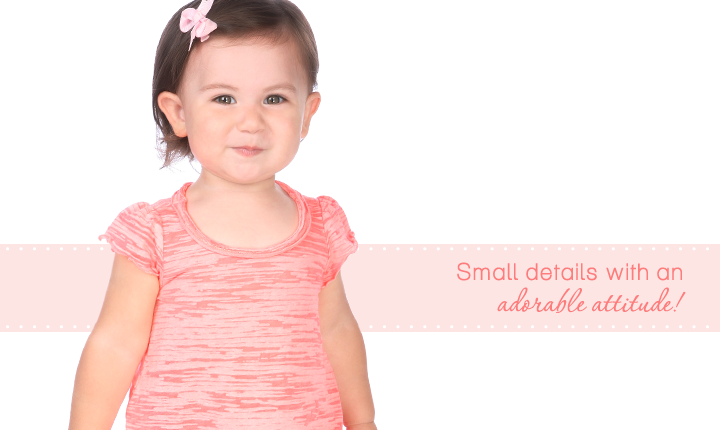 Sugar coated with a whole lot of sweet and an adorable attitude we're featuring a few of our little DIVA's favorites. this adorable high low top is a must-have for the summer season. With the temperature going up and up every day, make sure that your little one has something soft and lightweight to move around in. Be daring and add this adorable top to the rest of the infant collection, the burnout high low top can be layered or worn by itself. It’s a great top that’s suitable for any occasion - have a picnic at the park or spend the day at a backyard BBQ with friends and family. Take a closer look – the detailed burnout print on this high low top deviates from the everyday ordinary short sleeve top. Flutter sleeves complement any simple looks, adding a SUPER playful vibe. 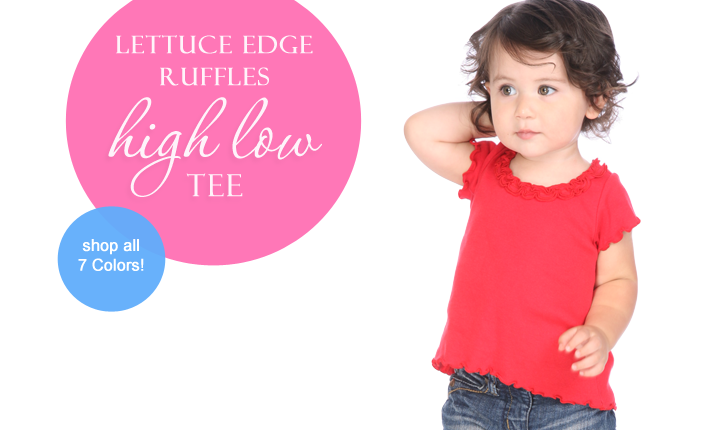 Also, check out the Infant’s Lettuce Edge Ruffles High Low tee! Definitely is a winner in our books, this high low top is easy to wear and fashionable. The double lettuce edge ruffles round the neckline are incredibly cute and sassy while the merrow stitches on the sleeves and bottom create a super girly look. Keep up with the trend and dress your little one in the lettuce edge ruffles high low short sleeve top that’s suitable for a play date or shopping at the mall. Simply adorable and fresh for the upcoming summer days, enjoy this infant’s high low top in 7 fresh, beautiful colors.